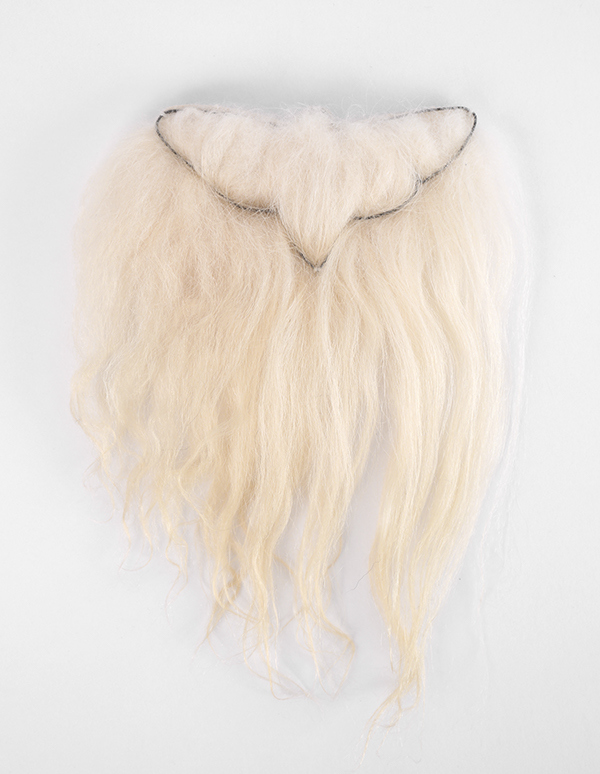 Icelandic sheep hair, steel, thread. 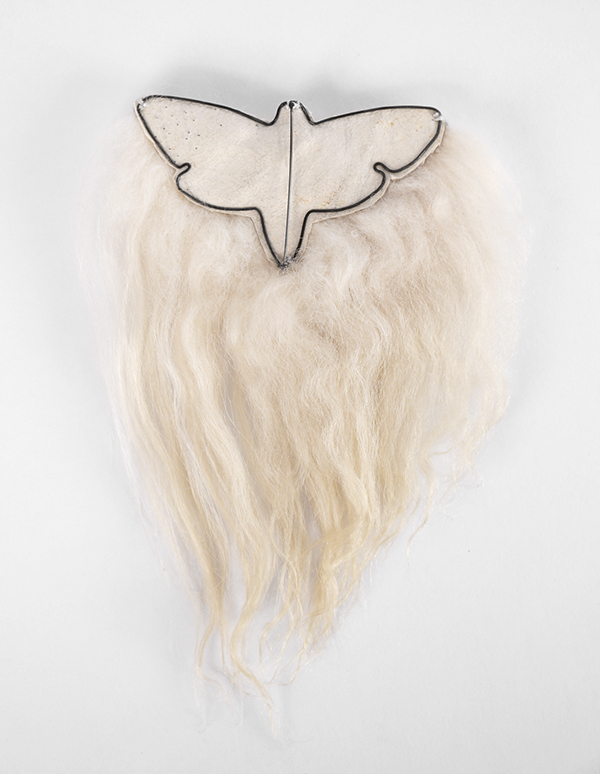 This piece is a part of a series of brooches that study the moth, Death's head hawkmoth, or Acherontia lachesis, and it's ecology, morphology and connection to human culture. 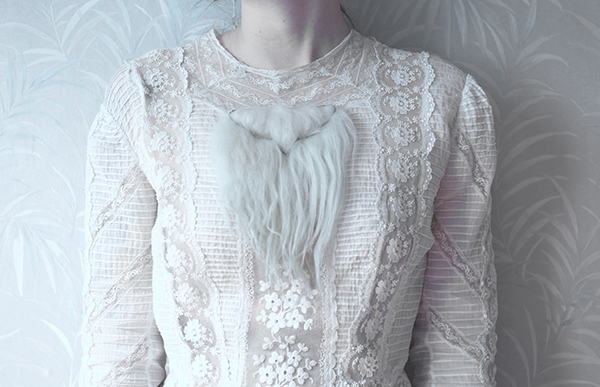 "Silence of the Lamb" refers to the movie in which the insect is used to represent transformation.